Just in time for the spring-like weather we are having, here is the most refreshing cocktail I’ve made in a long while. Inspired by the Ginger Negroni at Hearty in Chicago, which artfully introduced the Bun and me to the combination of ginger liqueur and Campari, our take is a little more boozy and omits vermouth altogether. I suggest serving this one up in a cocktail glass for the first round and on the rocks with a spash of soda for round two. A toast to sunshine, warm air, and to all of our dear friends in the city and beyond. Cheers. 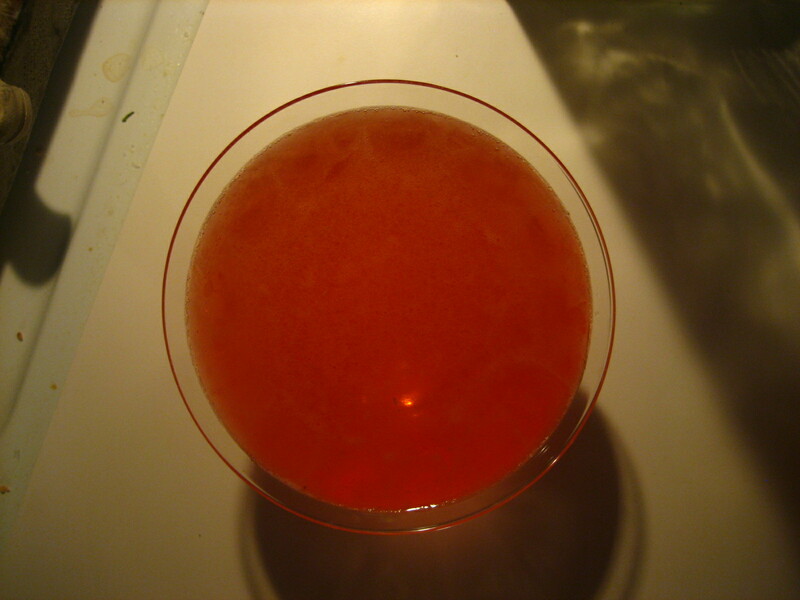 *Campari is an Italian bitter orange liqueur. Drunk straight or on the rocks, its flavor can be off-putting to some. This is a good application to see if you actually like Campari in mixed drinks. In the hot days of summer, I can’t think of a more perfect drink than a little Campari and soda on ice.